The spike in smartphones and fast internet services have transformed almost every industry and business, and the financial industry is no exception. 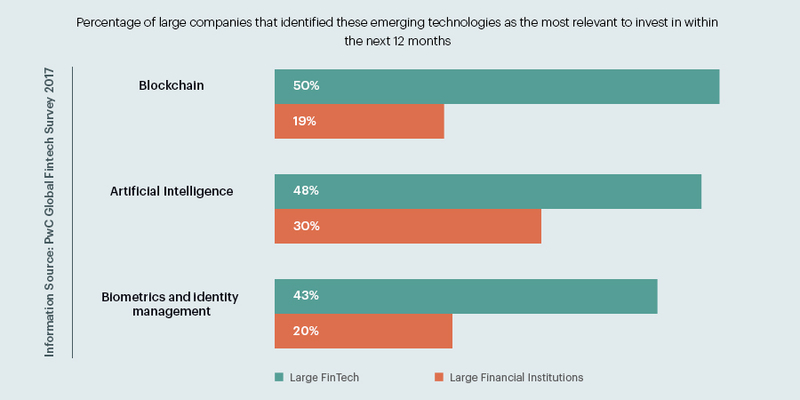 The emergence of innovative technologies has changed the competitive landscape and has also increased the customer demand for financial services with more personalization and convenience. The upcoming years are expected to be somewhat wavering for the financial industry. On one hand, blockchain and automation will let financial institutions to tap the untapped innovation and growth, various regulatory changes, on the other hand, will bring a major disruption in the financial market. Let us discuss in detail how FinTech will impact the financial sector in near future. Today’s customers are smarter and knowledgeable and they demand services according to their own preferences wherever and whenever they interact. In order to connect with the customers the way they want, financial institutions are adopting the omni-channel strategy. Chatbots play a big role in improving the omni-channel customer engagement. Chatbots, the newest trend in messaging, are becoming a popular tool for financial services industry to facilitate customer-facing interactions. AI-powered chatbots have replicated the human interaction and made it easy to address and resolve the queries and issues of customers in real-time, in a standard yet personalized way. Undoubtedly, technological innovations have brought several reforms in the financial industry, but at the same time, they have posed bigger risks such as fraudulent transactions. If went undetected by human-driven systems, these fraudulent activities can result in major losses for the financial institutions. Fraud management has become easier with AI and machine learning techniques. These techniques combine automated data algorithms with human pattern recognition skills to identify such foul transactions while maintaining quality customer services. Digitization enables financial institutions to provide customers with more diverse solutions. Blockchain is getting so much buzz nowadays. This distributed ledger technology has the potential to save money and eliminate huge amounts of record-keeping. Blockchain creates an unchangeable record of the transactions where each transaction is linked to the previous one. The global survey conducted by PwC indicates that 77% of financial businesses are looking forward to integrating blockchain in their processes by 2020. To reduce potential risks in transactions and address consumer concerns regarding security and privacy, financial institutions are adopting biometric authentication. This technology provides better protection against cybercrime, fraud, and identity theft. Furthermore, biometric technology is swiftly replacing PIN-based, token and passwords based, and signature-based access. Complex regulations such as Revised Payment Service Directive (PSD2), General Data Protection Regulation (GDPR), and Comprehensive Capital Analysis and Review (CCAR) will impact the operations of the financial companies. As per a global survey conducted by PwC, 54% of financial institutions assume protection, privacy, and data storage as the major regulatory barriers to innovation. The financial institutions will have to identify alternate ways to drive innovation and manage data and systemic risk in compliance with new regulations. The emerging digital technologies intend to reform the value proposition of financial services and products. 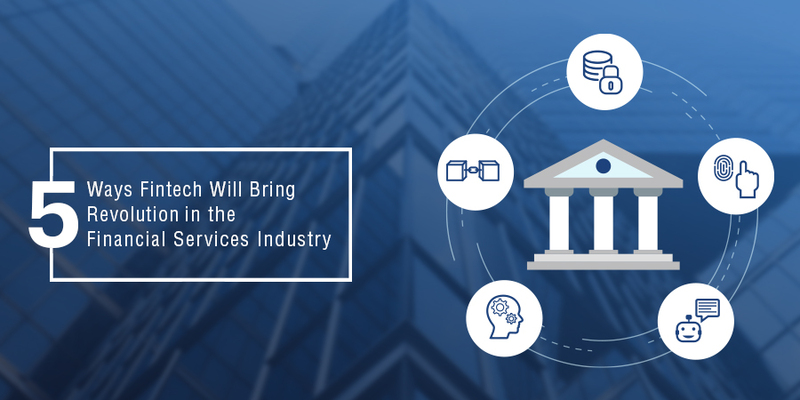 In order to stay ahead of the competition and solve industry-specific pain points, financial services industry will have to take new approaches to integrate new technologies into their already existing strategy and architecture. For this, they need to strengthen their collaboration and partnerships with FinTech companies.